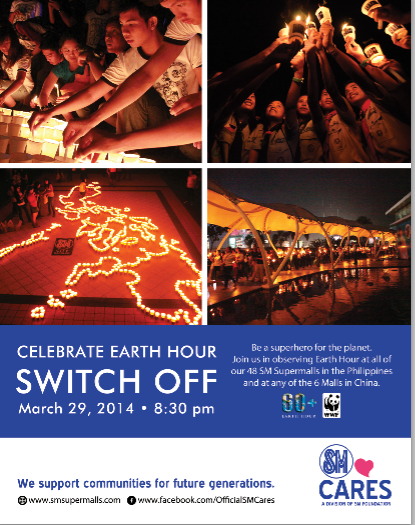 Make a difference and witness the grand ceremonial switching off of lights on March 29, 8:30PM, fronting the SM City Cebu Northwing Atrium. 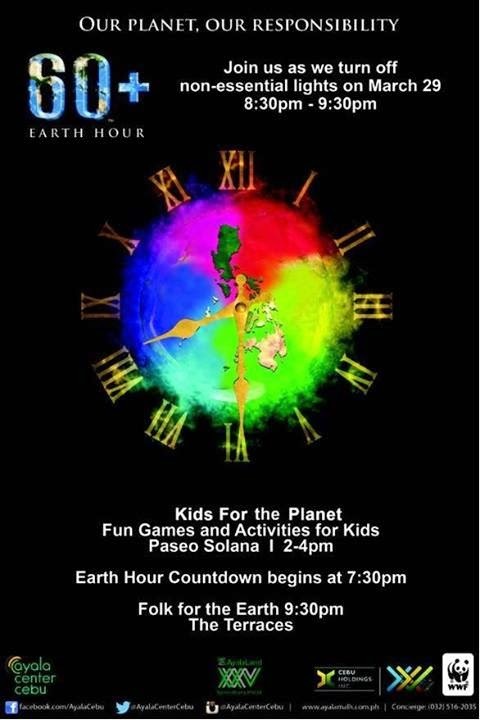 Earth Hour will be celebrated across all 48 SM Supermalls nationwide along with 6 Malls in China! Make Mother Earth proud, be a superhero of the planet!